Ex Cruise Ship Officer David Kirkland has published a brand new eBook that reveals the best cruise secrets that will save people a great deal of money when they book their next cruise. 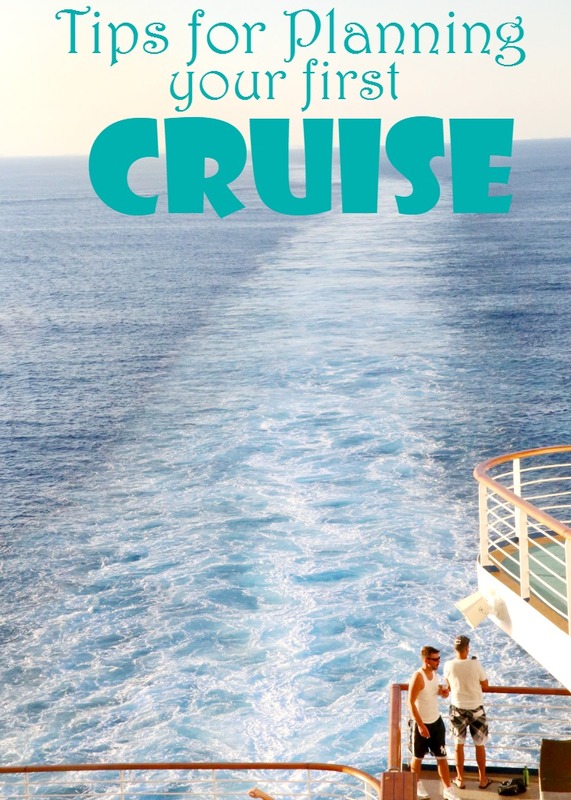 This cruise ship eBook brings all the tips that expose the best ways to save money and enjoy a quality cruise at a much lower price. David Kirkland was a 3 stripe officer for ten years. He wants cruise lovers to learn all the tricks and tips for reducing the cost of their cruise vacation while not reducing the quality of the cruise. If you have always traveled to all-inclusive resorts and are about to embark on your first cruise, you may be shocked to learn that cruises are not all-inclusive. While there is lots of entertainment and food options on boards, many drinks and some specialty restaurants are not included with the cost of your cruise fare. And with cruise ships being a “cashless society” it is easy to get caught up in spending! What IS Included? – LOTS! There is plenty to do once you step on the cruise ship. Your daily newsletter will have all the information about your free dining venues and activities! – Drink – basic coffee, tea and juices are also included. Coffee, tea and juices are generally located in the buffet, so you can pop by and grab one 24 hours a day. – Activities – there are lots of activities going on around the ship every day! These will be clearly marked in your ships “Daily Newsletter”. If an activity does have an additional fee (such as some gym classes or enrichment classes/tours) they will be marked. – Food – many ships have specialty restaurants that have a surcharge. These restaurants can include steakhouses, Italian restaurant, sushi a la carte, burger joints and so much more! If you are a foodie these dining experiences are not to be missed. – Drink – alcohol based drinks, soda pop, bottled water, fresh squeezed juices, etc are also an additional charge. Are These Extras Worth It? – A lot of it is personal preference. Do you feel that the offerings included in your cruise fare are all you need? If so, then great! You are all set! Do you want or need a bit more to add to your vacation and make it the perfect vacation? Or perhaps you are celebrating a special occasion or a milestone? Then adding a drink package, whether it is one that includes alcohol or is simply a soda package may be the right choice! Or heading out for to one of the specialty restaurants may be worth it. Are These Ever Included? Wait Did You Say Included? – Many cruise lines offering booked incentives where you can pick from different perks when you are booking your cruise fare. These perks often include drink packages, dining packages or on-board credit (which can be used for virtually anything charged to your seapass account)! If you are someone who likes a drink package or a dinner or two in a specialty restaurant, these incentives are something to watch out for! As well, there are often discounts for pre-purchasing your packages before you get onboard – check with your cruise line before your sail date! Whatever you decide, your cruise will be an amazing vacation experience. Packages are designed to streamline your vacation but are not necessary. Do your research to make sure you are making the right decision for you and remember that you will always have the option to add a package once you are on board! Many people are now eating special diets for several reasons; whether it is health reasons, personal preference or allergies. When you travel this does not have to stop or be a burden. 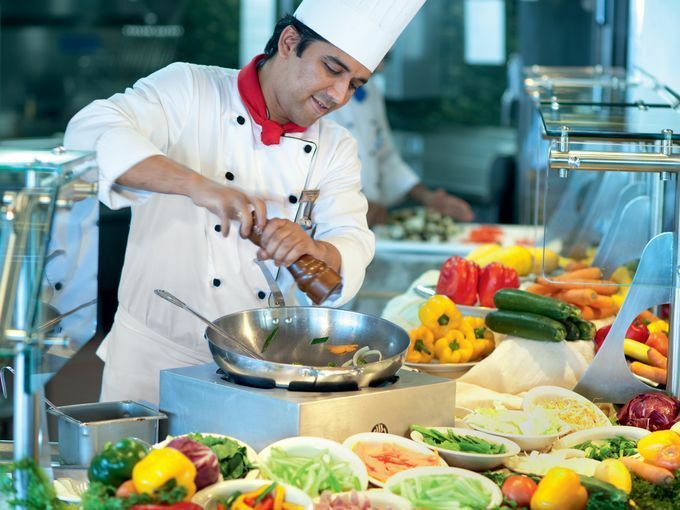 Cruise lines are faced with lots of different requests for food everyday, after all many cruise ships have upwards of over 5000 guests sailing every week, and their waitstaff and chefs are ready to please! Cruising may be the easiest way to travel with food restrictions, they take away so much of the stress that those with dietary needs are used to daily. Many cruise lines are very proactive in their approach to dietary concerns, labeling their menus and buffet options to represent choices such as gluten-free, vegetarian, sugar free and lactose free offerings. 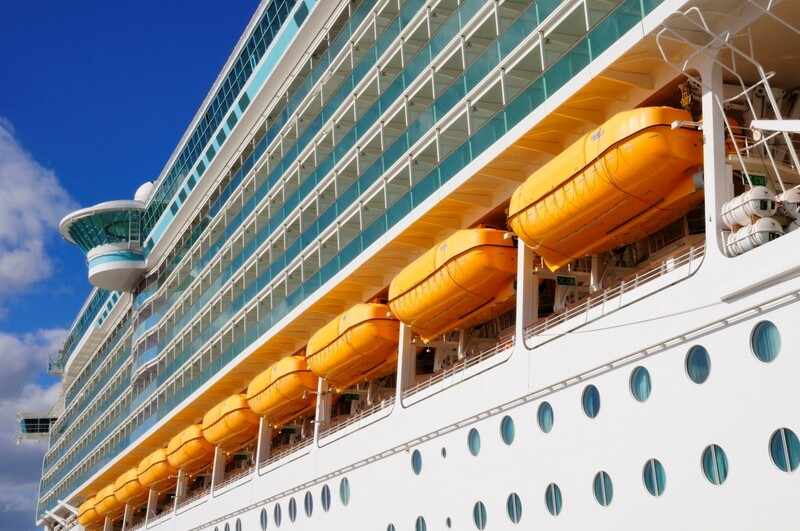 If you have other restrictions or allergies it is a good idea to let the cruise line know before your sailing so that they are prepared, and these concerns are noted on your account. 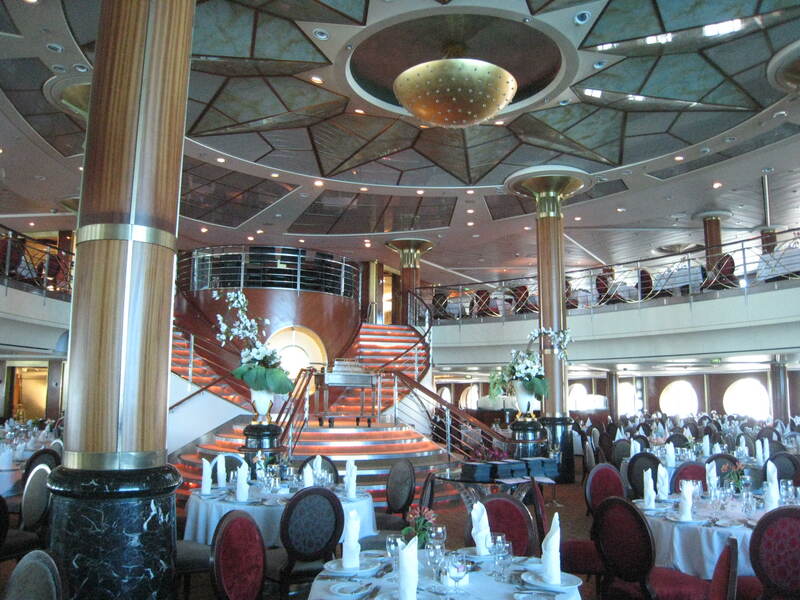 When you board the ship, it is a good idea to visit with the maître d’ and chat with the manager in the buffet. These two people will become very important to your overall dining experience and will be able to assist you in ordering your meals and finding out ingredients. The maître d’, hotel director and buffet manager are all trained with your needs in mind, and if you have any concerns these are the people to go to. If you have questions about the food in the buffet don’t be afraid to have the buffet manager walk you through the choices and point out what is and isn’t safe for your concerns. And don’t forget to talk to the sommelier about wine choices too, you’d be surprised at the options available! Many cruise lines allow you to order your meals the day before so that you have a full choice from the menu without limitations. This applies to specialty dining too. When dining in a specialty restaurant on board a Celebrity ship recently we were able to pre-order meals for those in our party with dietary restrictions and the staff was super accommodating. – If you have the chance, take the galley tour! Many cruise lines offer this as a free tour, while some you must pay for, but it is a great insight into how the galley works and how food is handled. 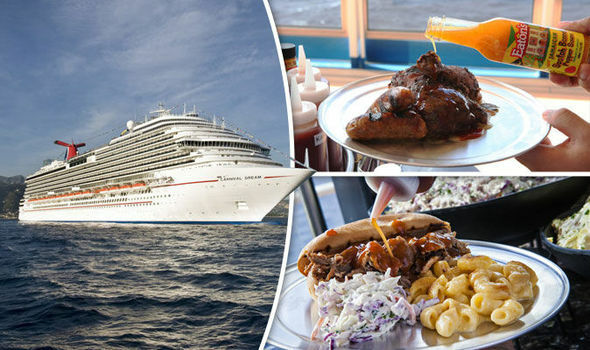 It will give you a new appreciation for just how safe eating on a cruise ship can be! Cruise lines take your dining concerns seriously. Never be afraid to speak up. Do your research by reading reviews and speaking with others who have cruised to find the perfect cruise line for your specific needs. Once on board you should be able to sit back and enjoy your meals like everyone else on board! In this article, we will discuss some tips and tricks that are specific to the Norwegian Cruise Line. With these Norwegian Cruise Line tips and tricks, you’ll learn how to save money on your next NCL cruise vacation. Sign up for the NCL newsletter to make sure that you are notified of special offers. Norwegian sends out frequent emails which include any available discount, bonus or deal available. Norewgian frequently runs “Free at Sea” offers. These offers can included the unlimited beverage package, free Wi-Fi, or even savings on specialty dining. Pairing the free at sea offers with other promotions can lead to huge savings on your cruise. Norwegian’s Freestyle cruising has some perks in that it is not as formal as the standard approach to cruising. Instead of having to be at a restaurant at a particular time, you can go whenever you like. You can check Norwegian’s TVs on the ship to see what time each restaurant is open and how long of a wait time there is at each restaurant. Most of the time you can make a reservation if you know a particular time that you want to eat. This is very helpful if you are in a large group. Norwegian Cruise Line allows you to bring one 750 ml bottle of wine with you upon boarding your cruise ship. There is a $15 corking fee involved if you bring your own bottle. Just wine is allowed and no other type of alcohol is permitted. Sometimes Norwegian runs mid-week laundry promotions. If you packed light for your cruise, this can be a big help. There isn’t always a laundry promo but it’s worth looking out for. If you are a Latitudes Rewards member, you can get a free commemorative pin on your cruise. These pins are available by request only so make sure to request one if you are interested in getting one. If you don’t require a certain brand of body wash or shampoo, Norwegian supplies free body wash and shampoo in the dispenser of your shower. Norwegian generally offers embarkation day specials. These embarkation day specials usually involve a discount at the spa or at the specialty dining restaurants. If there’s a show or restaurant you really don’t want to miss, make a reservation well in advance online, or you might miss out. Rock of Ages is an awesome full length Broadway show that we would recommend checking out. Make sure to get to the show early if you want good seats. It is a good idea to bring a large reusable cup for drinking, as the glasses and cups that Norwegian provides you with are very small. The Garden Café has seating and the same food service on both the starboard and port sides. Usually one side is far less crowded than the other. Take a look around before you choose a table or decide wait in line. The Garden Café is usually very crowded for breakfast so it’s worth checking out the other restaurants around breakfast time. If you have a disability, you know that some vacations can often at times be very stressful and challenging. If you are staying at a hotel, you often have to worry about stairs and accessibility issues. On a cruise you’ll take a lot of the unexpected surprises out of the equation. Once you arrive onboard a cruise ship, you’ll know that your cabin can be reached via an elevator and you can dine in your choice of accessible restaurants each night. These are just some of the great benefits of going on a cruise. 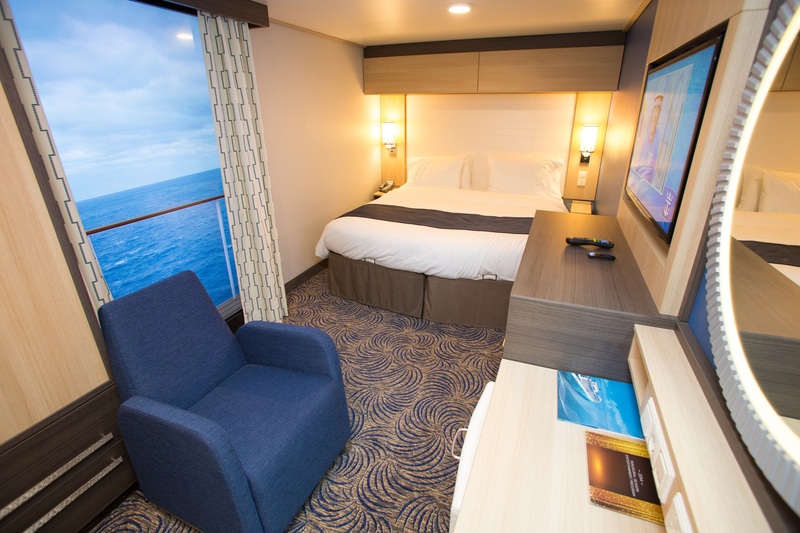 While cabins on a cruise ship are generally much smaller than hotel rooms, most of the major cruise lines offer “accessible” and “modified” staterooms. On a cruise vacation, you will also have a huge variety of entertainment options that can accommodate your needs. These nice conveniences make a cruise ship a great choice for a vacation for travelers with disabilities and other health concerns. In this article, we’ll go over some of the questions that people often wonder about what to expect with accessible cruising. Do cruise lines accommodate people with developmental or physical disabilities? Yes, cruise ships accommodate people with developmental and/or physical disabilities however each cruise line and ship will vary. Some cruise ships offer larger cabins with accessible tubs as well as showers with benches. Some cruise lines have audiovisual kits as well. 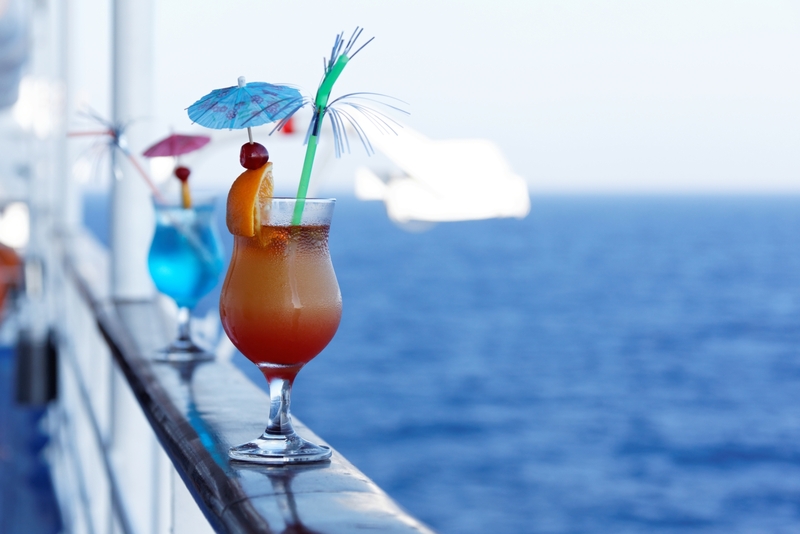 If you let the cruise line know in advance, most cruise lines can offer individual assistance to help fit your needs. It can help to speak with a travel professional who specializes in accessible cruising or to read reviews from cruisers who frequently cruise with disabilities. If you are ever in doubt, make certain to contact your cruise line about any questions that you have when it comes to accessible cruising. River and expedition cruising is not recommended if you have any type of mobility issue. These types of cruises generally lack accommodations and focus on walking as well as active excursions. Can I bring my wheelchair/mobility device on a cruise? Are they available for rent onboard? Yes, you are welcome to bring your wheelchair/mobility device on a cruise ship. However, if you are planning on renting, you will need to make prior arrangements with a third party that provides equipment rental services since most cruise lines do not rent mobility devices directly. Companies like Special Needs at Sea provide a wheelchair, scooter and medical equipment rentals directly to your cruise ship. To get a price quote, you can contact Special Needs at Sea at 1-954 585-0575 or 1-800-513-4515. In the event of an emergency on my cruise, will I have special assistance? Will I be able to get assistance to go to the theater, buffet, of another area of the cruise ship? Yes. The cruise lines train their crew to anticipate the needs of passengers, especially those with mobility or audiovisual issues. Never hesitate to ask a crewmember for assistance in any area of your cruise ship. Am you eligible for upgrades/guarantees in an accessible cabin? This is tricky question to answer. Since most accessible cabins are considered a “premium room”, it can be hard to get an upgrade with an accessible cabin. Whether you do or not will most likely depend on your loyalty level with the cruise line. The higher your loyalty tier, the better chance you will have of being upgraded. Because there are so few accessible cabins, these cabins tend to sell out quickly so it is much better to book the exact cabin that will best suite your accessibility needs. I use a mobility scooter. Can I still book a regular room, or must I get an accessible room? Accessible cabins are designed with more space for easier movement in your room, along with accessible bathroom facilities so it is generally recommended to book an accessible room. Many of the cabins that are accessible have push-button doors and may be located in areas of the ship that feature wider hallways. There is usually not enough room to park your scooter in a regular cruise ship cabin. The accessible rooms can vary of each cruise line. For example, on the Holland America Line, a “wheelchair accessible stateroom” has wide entry doors and a roll-in shower with a bench, while a “modified accessible stateroom” offers a shower-only bathroom with low thresholds. Just like hotels, a small amount of rooms are accessible so it is good to book your accessible room on your ship early. When you decide to book your cruise, make sure to check your ship’s deck plans, or speak with a travel professional to help compare your options if you are afraid to book the room by yourself. Can you go on an excursion if you have a wheelchair? There are a very limited amount of excursions designed specifically for passengers with wheelchairs. It is a good idea to browse through excursion brochures or use a company that specializes in accessible shore tours. Also, make sure to research the ports that you’ll be visiting. Some ports will be more accessible than others. Is there a special area in the theater for seating if you have a wheelchair? Yes most of the cruise ships provide an area for wheelchair users to watch the onboard shows. The Royal Theater on Royal Caribbean ships for example features front and rear areas for wheelchair seating in the theater. What can you expect if you have a visual or hearing impairment? If you have a hearing impairment, some ships will offer sign-language interpreters. It is a good idea to notify the cruise line atleast 60 days in advance if you require an interpreter. If you have a visual impairment, most ships have Braille menus as well as large-print menus along with Braille elevator buttons and/or Braille signage. Always make sure to notify your cruise line in advance if you need any type of special assistance. Are there discounts for passengers traveling with a disabled person? Not generally. Contact your cruise line to inquire about any discounts for which you may be eligible. Can I bring my service animal onboard? Yes you generally can but there is an enormous amount of paperwork involved. If you are traveling with Carnival, they only permit service/working dogs onboard. The dogs are dogs that are legally defined as trained to meet a disability-related need. Most cruise lines do not allow passengers to sail with service dogs in training or companion/therapy dogs. Can you bring medical equipment onboard? What about bringing an oxygen tank onboard the ship? Yes you will be able to bring medical equipment onboard however if you require an oxygen tank, you will be responsible for bringing enough oxygen for the duration of your trip. It is a good idea to contact guest services once onboard if you need help storing your oxygen. The company we mentioned earlier, Special Needs at Sea will provide oxygen and medical supplies directly to your cruise ship. A cruise is, in its true sense, the grandest and the most exhilarating thing that can ever happen in a person’s life. Managing and deciding a maiden cruise trip can be a pretty overwhelming and exhausting task. Cruises are versatile in their own way; after all there is an entire planet to cover under this segment! A traveler may choose either a journey filled with cultural enlightenment and a modern awakening around Europe, or maybe some nights of gambling and partying will do near the Caribbean Islands. However you may be, a perfect cruise ship is waiting for you, its anchor just about to be set loose. It is painfully obvious that you can’t go for dozens of cruises, and planning correctly for your first cruise is vital for sure. You need to calculate wisely that what your primary interests are. If you are an adventurer, a foodie, or if you like to travel to quiet places, your perfect cruise destination can vary a lot for you. Other major things to be put into consideration are budget, the port of departure, and duration of the cruise. Most importantly, you need to know where and when to look out for the perfect cruise deal. If you hit the golden jackpot, you might get cruise tickets at a mammoth price difference. People have permanent travel agents that give tips when the time is right, or even scrounging through the internet at the right place could turn out to wondrous. There are various off the road tips to help you find the best bargain. We present our own bag of tricks to help you find just the right cruise, and you can make the most out of your journey. A lot of cruise lines sell package deals, and have tie-ups with good hotels, airlines etc. Look out for such packages from companies like Royal Caribbean, Carnival, Norwegian, MSC etc. Wrapping up small expenditures can allow you to save on various overhead costs. It is highly recommended that you book early, months or sometimes even a year, if you want to choose the best cabins in the cruise. 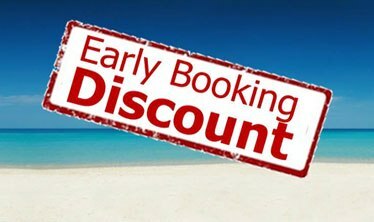 If you are aware of spectacular early bird discounts, you might get a stunning bargain. If you are a senior citizen, or an ex-military member, you can get spectacular discounts. Almost all sailing agencies offer significant discounts for military personnel, certain government staff, and even teachers. Just analogous to frequent fliers, you can also avail the frequent cruiser feature to good use. Having cruises with the same cruising line can get you a lot of perks, like complimentary cocktails, and free spa treatments! If you can rope in more and more of your family and friends to travel with you, you can get major benefits. Booking in bulk can get you a lot of perks. In certain shipping agencies, if you book 10 or 16 berths at once, you can get a free berth, along with loads of other added benefits. Take help from a travel agent, who can tip you exactly when and where to book for the best deal. They can also monitor pricing and let you know about interesting payback options. 7 Night Caribbean Cruises on Silversea, from $3,300 only at CruiseDirect.com. EXCLUSIVE: Up to $1,000 to Spend Onboard & All Inclusive Amenities, All Suite Ships! 4 Night Cuba Cruises on Norwegian Cruise Line from $549! EXCLUSIVE – Up to $500 to Spend Onboard, FREE Drinks, & 10% Off Shore Excursions! 3 Night Mediterranean Cruises on Costa Cruise Line from $201 only at cruisedirect.com! 10% Off Shore Excursions & Deep Discounts! 7 Night Caribbean Cruises on Celebrity, from $649 only at CruiseDirect.com. EXCLUSIVE: Up to $1,000 to Spend Onboard,10% Off Shore Excursions and FREE Liquor Package! 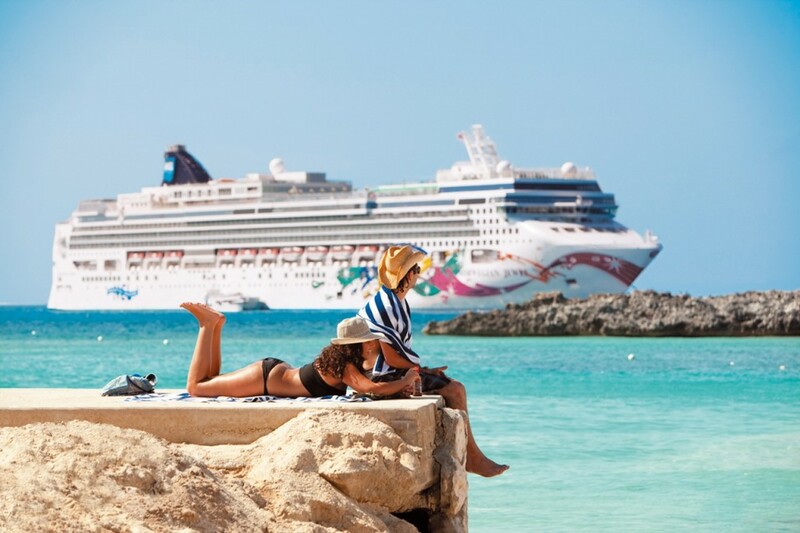 5 Night Caribbean Cruises on Princess Cruises for just $498, only at CruiseDirect! EXCLUSIVE: Up to $1,000 to Spend Onboard, $50 Deposits, & $50 Deposit Sale! You’ve booked a cruise and are starting to prepare for your vacation. You’ve done all the hard stuff, booking your room and your flights, perhaps you are coming in the day before and staying the night in the hotel so you can get to the port and get on the ship as early as possible to enjoy all the ship has to offer. But have you done all the research possible? Are there a few tips and tricks to cruising that maybe you don’t know, especially if you are a first time cruiser? – Pack clothes that are wrinkle resistant! 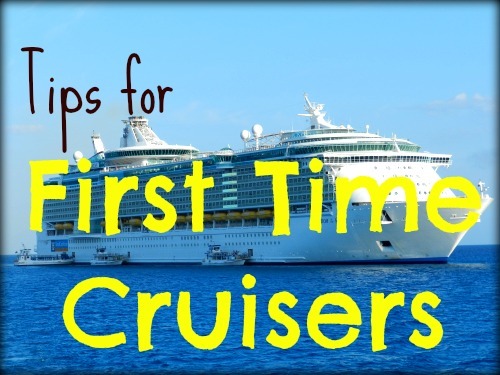 – Seasoned cruisers know that, unlike hotel rooms your cruise stateroom will not have an iron and finding out that dress or shirt you packed needs ironing once you unpack will result in an unexpected charge. Save yourself and pack wrinkle resistant clothing! – Don’t over pack! – There is only so much room to unpack in your stateroom (which you should do right away, it will make it much easier to move around your room if you unpack your suitcase) and you will find that you won’t need nearly half as much as you think you will! – Bring a highlighter and magnets! – There is noting worse than looking over the “daily” each evening and making your plans for the following day only to miss the events you wanted to do. By bringing a highlighter and magnet you can mark off the items you want to attend. And the magnets will allow you to hang up those notes on your stateroom door! – Bring small bills! – There will be times you want to tip those who make your cruise extra enjoyable or who have gone out of their way with extra service – a porter, your room attendant, bartender, waiter. Having small bills allows you to tip these fine folks at the time of their service. – Check the dining dress code – every cruiseline’s dress code is different and the rules for “formal night” is different. It pays to check the rules around dining room dress codes to help with what you need to pack, especially with airline luggage restrictions! And if you are not interested in formal nights remember you can always head to the buffet or order room service (on your balcony!) those evenings! – Research your ports and the excursions you are going on. – Depending on your ports and your excursions you may need to make some packing additions to your list. Are you going to be doing some hiking? Remember to pack your hiking boots? Spending a lot of time on the beach? Pack a wide brimmed hat? Going to be visiting churches and temples in Europe? You may need to have your shoulders covered and be wearing longer shorts or dresses, check websites of these attractions for any dress codes to avoid disappointment! – Attend the free seminars and draws. – On the first day or two of the cruise there will be lots of seminars and draws for various products and services. Attend these! Often there will be discounts given to those who attend and there will be draws for free prizes. Someone must win! – Art auctions. – The art auctions can be fun and interesting! Not only do you get to learn about great works or art and artists but you will get a free work of art and free champagne! Most of all, enjoy your first cruise vacation! There is so much to do and explore on each ship and each port you will never be bored! Most people on a cruise ship choose to dine in the main dining room or eat at the buffet on the first night of their cruise. This is a great chance for you to check out one of the specialty restaurants on the ship. If you book an alternative dining venue for the first night of the cruise, you may get a discount on select cruise lines (like Celebrity Cruises for instance). Even if you don’t receive a discount, you’ll have an easier time getting a reservation at one of the more popular venues. Carnival Cruise ship passengers who choose to dine at the steakhouse on the first night get a free bottle of wine with their dinner meal. Are you looking to plan a cheap cruise? It’s still possible to save big money on most cruises if you plan carefully and choose the right room for your particular budget. Our cheap cruise tips will help you save big! With rapidly rising fuel costs, the price of going on a cruise has been on the upswing lately, so its more important than ever for anyone on a budget to research cruise fares and find a reasonably priced sailing that won’t break the bank. Generally, if you are looking to book a specific type of room, you are best off booking your cruise very early in order to ensure that you get the best possible fare. Room categories can sell out — often months before the sail date — and by booking up to a year and a half in advance, you can take advantage of often substantial early booking discounts while still getting that balcony room or suite that your heart is set on. Of course if you want to save even more money, you need to be more flexible with the type of room you are willing to book. Inside rooms — the rooms in the interior of the ship — are often as much as one third less than balcony rooms or suites. This can represent a tremendous savings for the economy-minded traveler. On most cruises, there is simply so much to see and do, from shows to pools to dining, that many passengers end up spending very little time in their rooms. Therefore, it is often worth considering booking an inside cabin, since you will still have access to all the same great meals, entertainment, and activities as passengers paying far more than you. Of course, one drawback to inside rooms is the lack of windows, so if you have issues with claustrophobia, and inside room might not be for you. But there is another great low-cost option on many ships that can cost little more than inside rooms. This second option is an obstructed view outside cabin. The views in these cabins tend to be obstructed by lifeboats, poles, or other elements of the ship’s design. While the view might be partially or even full obstructed, you still have a window and thus usually will get some sunlight at the very least. Therefore, obstructed view rooms can be a great option for anyone who really needs a window in their cabin yet who still wants to save some serious cash.